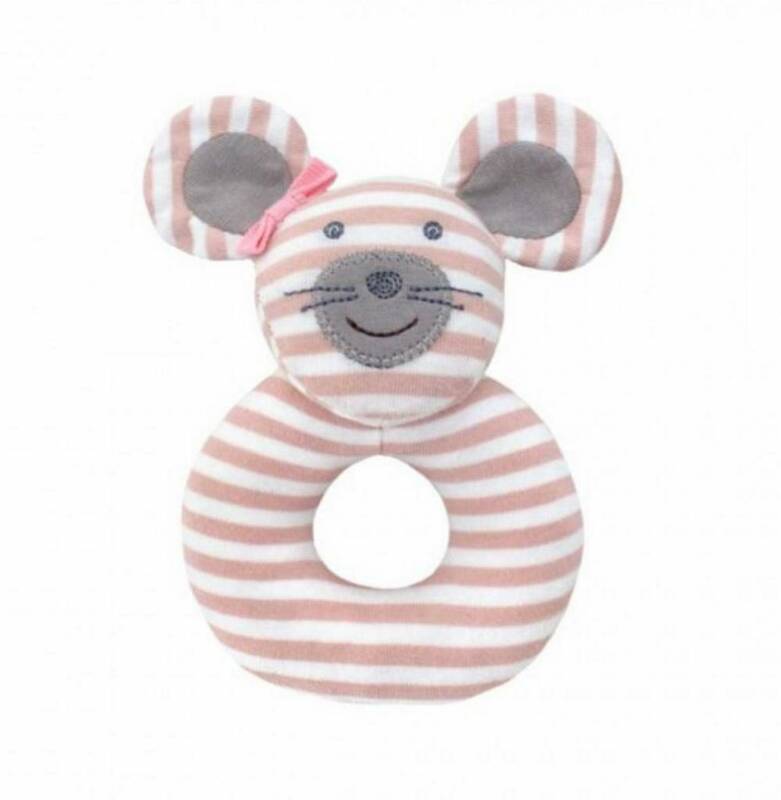 A soft, adorable rattle to help babies explore their senses. Soft ring shape is easy for little hands to grasp. Made with 100% organic cotton fabric and sustainable corn fiber filling. A lovable friend that can attach to baby's favorite pacifier.